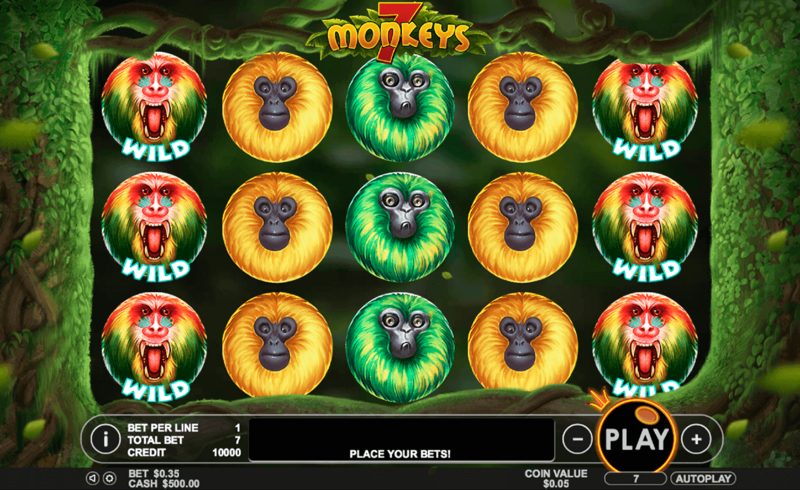 If you like bright and vibrant new online slots game, interesting themes that you would never be able to dream up on your own, and some very generous jackpots, then the 7 Monkeys is one you need to try your luck at. There are a lot of primates at work here to try and get you as much cash as possible. 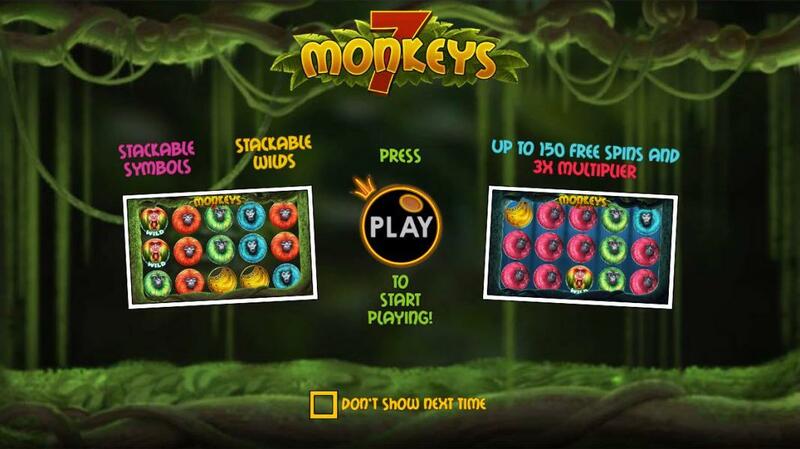 Let’s just hope that seven is your lucky number while you are playing 7 Monkeys play new slots! Pragmatic Play already have such a large back catalogue of popular casino slot games, but they must have thought that they needed one more. And they made the decision that it should be monkey-themed! This primate inspiration might seem like a very niche one for a lot game, but the Pragmatic Play developers have worked their magic on this to ensure that it never feels too farfetched. It’s an addictive slot that is extremely good value for your money! Get the best out of our play slots with bonuses before you play the game! You will find the slot’s game board right in the middle of the jungle. It’s the home to the monkeys and they’ll expect you to trek to find them if you stand any chance of winning their cash! As the name suggests, there are seven monkeys in this game, and this gives you an idea of what to expect. On your game board, you’ll find five reels with only seven pay lines. But don’t worry; you might be surprised by how well you can spin some wins even with just seven pay lines. The majority of symbols on the board are the different monkeys. They come in some really wild colours, such as red, bright blue and green. There are also a lot of ape-tastic bonus features that will help you win a lot more. WILD SYMBOL – Not all of the primates on the game board are monkeys – in fact, the baboon that you might sometimes spin is this slot’s Wild symbol. It always appears as a stack and, except from the Scatter, will replace any other symbol. STACKED SYMBOL – The brightly coloured monkeys on the board will always appear as stacks. These are the biggest-paying ones, so you need to spin as many as possible. SCATTER SYMBOL – Next, we’ve got the bunch of bananas on the reels. This is the Scatter symbol and can help you win some free spins. There’s a massive amount of extra goes to win in this game, and you will usually bag at least fifty. However, if you manage to spin four or five Scatters, you will end up with 100 and 150 free spins respectively.